For years, there have been rumors circulating about a possible remake of Heathers, the beloved late 80s classic, followed fan cries of "Please, no," "don't touch it," and "ugh, get an original idea for once." 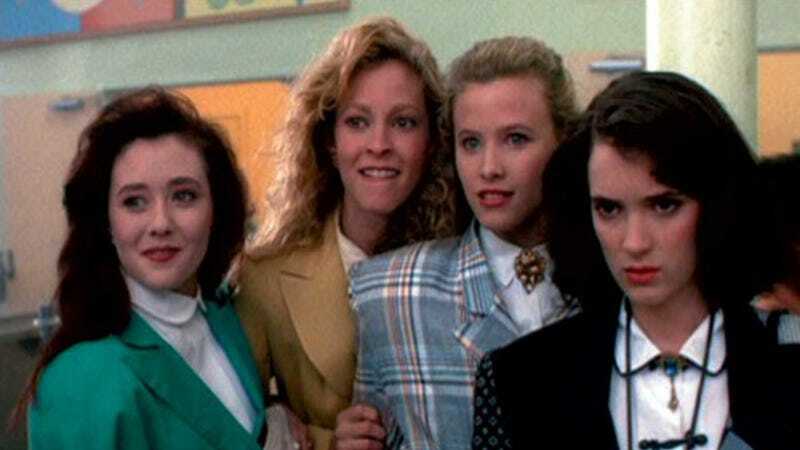 While studios were hoping to bring the remake to the big screen, plans have been disrupted by the folks at Bravo who have leap-frogged the process and are now developing a Heathers TV show. Bravo Media announces five additional scripted projects currently in development including "Heathers," a present day update of the cult classic 1980's film, "The Apartment (working title)," about a beautiful Upper West Side apartment rented as a private space for extra-marital affairs, "The Darlings (working title)," set in Wall Street after the crash of 2008, "All American Girl," centered around a female lifestyle magazine across three different time periods, and "Rita," a family drama following an acerbic, outspoken private school teacher who struggles to raise her own three teenagers. Jesus, Bravo — aren't The Real Housewives Heathers enough?